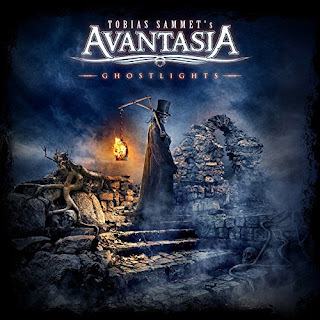 Avantasia the newest album "Ghostlights" turns to be almost unavoidable and challenging at the same time to review, Tobias Sammet and company are back again with their seventh full length plagued with their power metal opera, always accompanied by prominent names in the metal scene such Sharon den Adel, Michael Kiske, Dee Snider, and Geoff Tate just to mention few of them, their sound is essentially a exhibit unrestricted of pretentious musicianship, their quality goes far beyond of what words can express and definitely one of the best shows of metal opera that can be seen these days. It is probably that many people will argue that "Ghostlights" it lands far away from their mighty opus "The Metal Opera" debut album released back in 2001, or get stranded between "Angel of Babylon" in 2010 and "The Mystery of Time" in 2013, but certainly I can say "Ghostlights" has its own personality, they sound so fresh, so powerful and so passionate, delivering an exciting and complex recording, this time Avantasia took their time to reroute what was missing or over produced, in their latest works avoiding the big orchestral arrangements, as in "The Mystery of Time" they incurred or the excessive ballads to mid-pace shown in "The Scarecrow" and last but not least to mention the lack of metallic edge in "Angel of Babylon"; Well! I believe they succeeded this time bringing something more varied, intense and memorable. The first track to blast the speakers off is "Mystery of a Blood Red Rose" with a great semi-fast pace riff, contagious choruses and a beautiful guitar solo, it works really good as a preamble to the epic and longest track in the album "Let the Storm Descend Upon You" slightly over twelve minutes with special guest in vocals by Jørn Lande (Jorn), Robert Mason (Warrant), Ronnie Atkins (Pretty Maids), this track is quite impressive for the huge amount of moods stamped in it, the metallic edge blended with the orchestral arrangements, make this one an essential to listen, "The Haunting" comes unexpected as a storyteller and slow-paced while Dee Snider (Twisted Sister), brings his powerful vocals to this project, "Seduction of the Day" let Geoff Tate (Queensrÿche) to deliver his ostentatious vocal display and of course well appreciated, every track so far let the guest vocalist shine in their own, for me there is no doubt Tobias while he focus in his songwriting, he is able to visualize the singer, it is simply awesome, "Ghostlights" supply the proper dose of power metal that everybody is waiting for the guest vocalist in this track are Michael Kiske (Helloween) and once again the raspy vocals of Jørn Lande, "Draconian Love" is a powerful ballad that exploits with a catchy keyboard and low tune riff to add a depressive feeling which allows to elevate the track with exciting guitars plagued in choruses and the battling vocals between Tobias Sammet and Herbie Langhans (SinBreed) are impressive, "Master of the Pendulum" features Marco Hietala (Nightwish) his fearless and relentless voice takes over the heaviest track in the album, here you can appreciate one of the best guitar solos they could achieved, "Isle of Evermore" is a slow-paced ballad with no other than sweet Sharon Den Adel (Within Temptation) she lends some of the pop style vocals which has been prevailed in her latest recordings, somehow I think they owe us a climax with this track. "Babylon Vampyres" Sammet goes alone on his own, with fast and sharp riff, pounding drums and catchy melodies, "Lucifer" a stunning track featuring Jørn Lande who is set free to deliver his most brilliant interpretation in the album, "Unchain the Light" is definitely the catchy track in the whole album counting once again with the stellar appearances of Ronnie Atkins and Michael Kiske, excellent guitar work and impressive solo unleashes the adrenaline, "A Restless Heart and Obsidian Skies" brought aboard guest vocalist Bob Catley, the song sounds epic, but a little misplaced, nothing wrong with guest vocalist, but unfortunate to listen this as closing track, the 2CD Digibook includes a bonus track entitled "Wake up to the Moon" and simply can't understand it sounda overdone, dwelling in some generic formula. 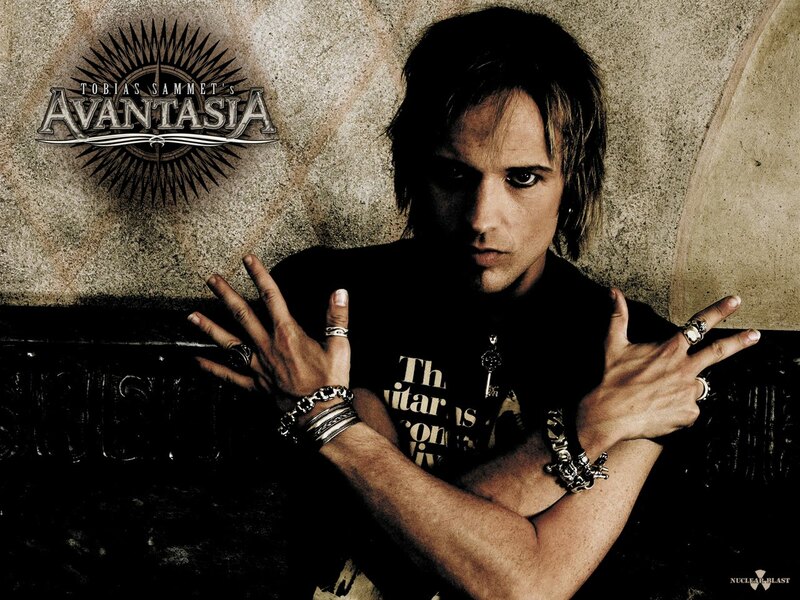 The hard part of this album falls in the length by itself the 2CD Digibook version last about 75 minutes, plus 59 minutes the live section, is not easy to devour thirteen tracks at once, you will need patience to really go all the way down to understand what Tobias Sammet and company just made, their power metal opera has emerged again and has been captured all its glory in this album, "Ghostlights" is simply awesome, all the parts blend together with smooth transitions and incorporation of orchestral and metal making this an unique experience.